We carry an extensive inventory of new, pre-owned, and certified pre-owned Volkswagen vehicles, and we offer a variety of special deals throughout the year. Our experienced sales staff will help you find the ideal Volkswagen vehicle at a price that’s right for your budget. If you think you might need an auto loan to purchase your dream car, our in-house financing team can put together a financing package that can get you approved, regardless of your credit history. Be sure to ask our financing associates about our quick approvals, as well as the extended warranty programs and value-added services that can protect your new car. Our service department has extended hours, so we’re open to fit your schedule. A Volkswagen Master Technician leads our team of Volkswagen-certified technicians as they promptly and efficiently complete any repairs and maintenance. We are also glad to provide shuttle service or a loaner car while your car is being serviced. 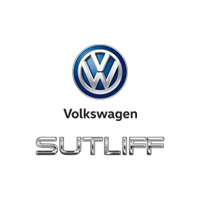 At Sutliff Volkswagen, we strive to offer the largest selection and best service in Central Pennsylvania. If you are in the market for a new Volkswagen in Harrisburg, PA, visit our dealership for a test drive!